The Opéra de Monte-Carlo presents ‘Amica’, the little known two act opera by Pietro Mascagni, at the end of March in Monaco. This opera is special in two respects. Firstly, it was the only opera ever written by Mascagni to have a French libretto, and secondly, it was first performed at the Théâtre du Casino in Monte-Carlo on 16th March 1905, conducted by Mascagni himself. Unfortunately, the opera fell into relative obscurity after that, only being revived again in 2007. The opera tells the story of two brothers, Giorgio and Rinaldo, who are both in love with the same woman, Amica. The tragedy is set in the moutains of Savoy, giving it a certain cinematic quality, which appeals to the modern day audience. Amarilli Nizza plays Amica, with tenor Enrique Ferrer and Lucio Gallo in the roles of the brothers, Giorgio and Rinaldo. Musical direction is in the capable hands of Gianluigi Gelmetti, ably supported by the Orchestre Philharmonique de Monte-Carlo and the Chœur de l’Opéra de Monte-Carlo. 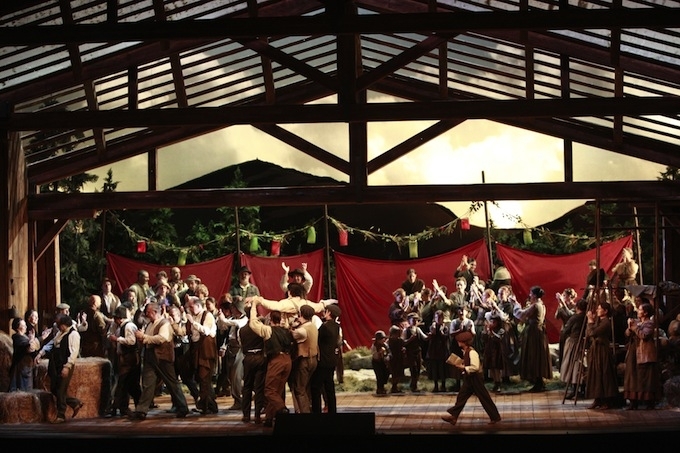 This is a co-production with the Opéra de Rome and the Teatro Carlo Goldoni de Livourne. Performances of the opera are on Friday, 22nd March at 8pm (the gala event), Sunday 24th March at 3pm, and Wednesday 27th and Friday 29th March at 8pm both nights. Tickets start at €50 and may be reserved online, or by telephoning +377 98 06 28 28 between 10am to 5:30pm, Tuesday to Saturday.